How beautiful and affordable these jewelries are. I have ordered pendants and rings. The settings and stones are wonderful. I would not be able to adorn myself if it was not for this. I am sure to order more. It is wonderful to get something so beautiful (even the shipping cost is reasonable). I am glad something good and beautiful comes out of this bad economy. I even told my friends and relatives about this and they all love it. I received my order today and was amazed at the quality. It was much better than I expected. As a GIA accredited jewelry professional who has worked in both national jewelry chains and high end stores with branded jewelry, I must say that the quality was outstanding! And only for a few dollars shipping! Thank you so much! I am just writing to you letting you know how much I love your jewelry, I purchased a necklace and it was great, now I have purchased earrings and I loved them also, impressed with the quality of the jewelry, the designs and variety of colors and styles at is available. Your jewelry is just fantastic! I love your jewelry. I first ordered a ring for myself and the quality was so good, I decided that I would be able to afford gifts for my children, grand children, and great grandchildren. This will be the first time in a long time that I have been able to do this. So I am ordering them one or two as I can. Thank you very much. 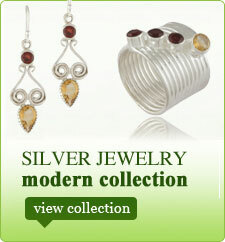 I have over the past several months received a number of pieces of silver jewelry from Elegant Charms International. Each of them has been very good quality and very stylish. The delivery is always prompt and the items are well packaged. The best part is that they are free. I have recommended your website to several people. Keep up the great work.